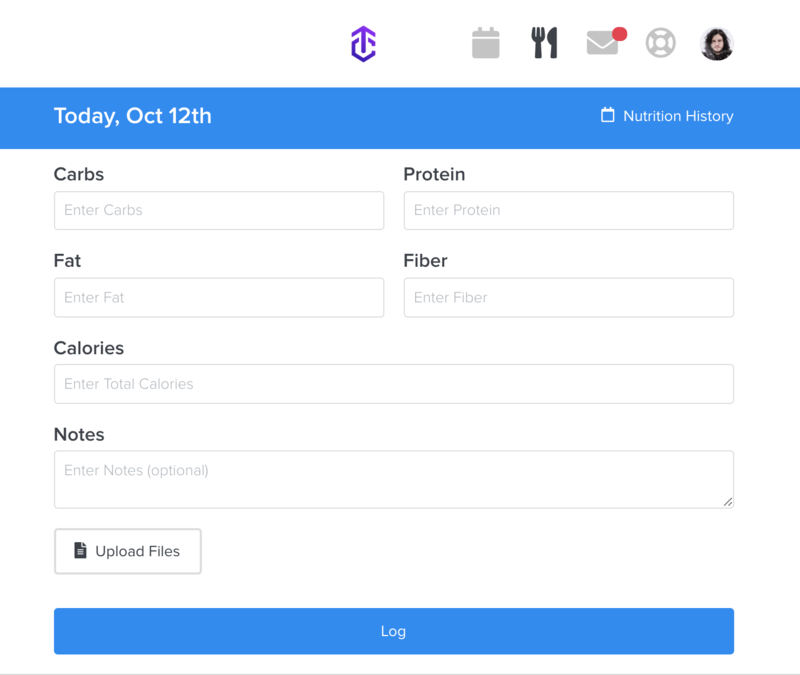 With TrueCoach nutrition tracking, you can set caloric and macronutrient goals for your clients for them to log on their client account. The first step is to set goals for your client. You can do this right from the sidebar on their workout calendar. 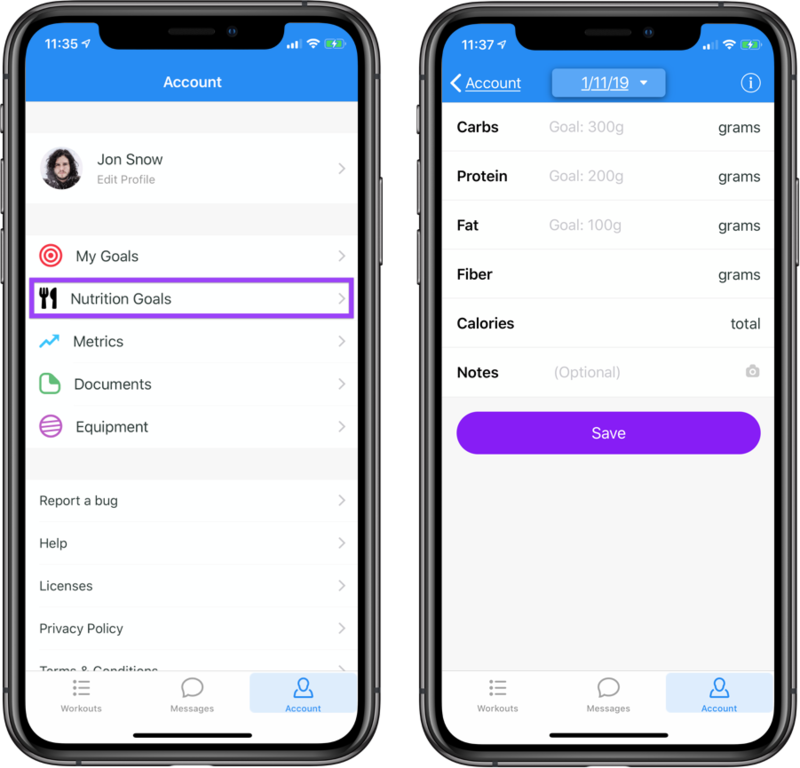 Once you click 'Add Nutrition Goals' you will see where you can enter some specific instructions, upload any necessary files (documents, photos, etc), as well as assign their daily goals for each macronutrient as well as fiber intake. 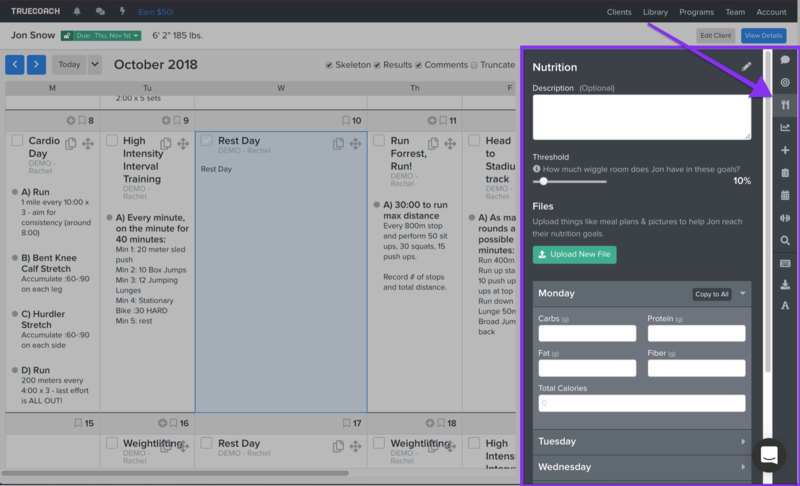 To see your client's nutrition entries, click View Details on the top right of their workout calendar. You'll see an overview of their entries on the right, and clicking View Details again will show you the daily breakdowns. From the detail screen, you can easily see trends, compliance to the threshold you set, as well as daily breakdowns with any notes your client has added. Your clients can input their nutrition data from their client account. Hopefully this helps, feel free to reach out to [email protected] if you need more information!